Where was this house located? The numbers on the house are "1030"
This house was identified on the reverse as "The Old Joy House." 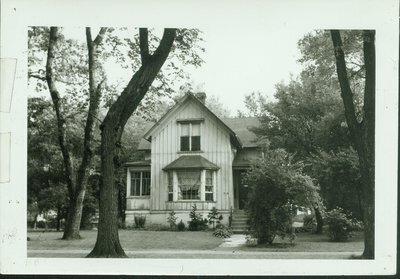 The Joy family lived at 812 Central Ave., Wilmette for many years. The numbers on the house are "1030." The house may have been incorrectly identified.